Today animation is more than just an entertainment tool for animation studios . Animation studios are benefiting from animated characters and unreal stories and imagination in the business world. Therefore, in this time advertising agencies hire animation studios more than any time. Why video content is getting popularity more than before? Business owners use several methods to promote their companies and service. Statistics have shown that everyone owning a smartphone, spend at least one hour a week watching videos. This leads to a shift to videos and on top of them, animated videos. Animated videos not only have clear and concise content but also they are suitable for all age ranges. So, in recent years, there has been an increase in the use of animation in advertising and business world. Animation is fun! You can find this sentence in almost every blog post about animation. But this doesn’t make it wrong. Animation has been using as an entertainment media since its first appearance on TV. The same thing could apply in the advertisement. Entertainment is in nature of the advertising. So, an advert without the element of entertainment is incomplete. Animation has enriched people by preparing a context in which they can learn new things easily and receive information from nonacademic sources. Because of the style of storytelling and the development of each scenario, animation can serve educational purposes. If there is something to learn through advertisement, people tend to follow and order more than live action footages. The beauty of animation lies in its ability to transfer emotions and start bound with the audience. Animated commercials have connected with people through story, colors, character, and music. So, advertising agencies should be well aware of this feature of animation and try to start a connection to reach their goals. We, as humans, tend to understand complex concepts better through visual aids. When it comes to advertisement, time limitation is one of the biggest setbacks. Animation has solved this problem by simplifying the most complicated concepts and put them all together and present them in form of an advertisement. Without a doubt, animated advertisements are one of the most influential and memorable TV program or social networks’ media, animation studios have made. As mentioned in the previous post, the impact of an animated commercial is undeniable. Hence, everyone can remember at least one animated advertisement that they have seen throughout their life. Animation empowers the content to exist in the world of imagination where unreal events happen and all the endings are happy! Animated advertisement enables the business to have a personal brand. Despite many companies that are interested in live action videos and advertisements, animation provides a creative and unique way to present a brand. Moscat and brand character are successful examples of using animated advertisement to establish a brand. Carrying a story on the one hand and involving many enticing elements such as colors, shapes, characters and etc., on the other, make animated advertisement a tool to fill time. Furthermore, due to the accessibility of the internet everywhere and living in the digital age, animated advertisements go viral quickly. The likes and shares on social media help the content to continue living and preserve its identity. Consequently, brand awareness increases and the online presence reinforces. Animated advertisements can easily attract attention. They create a higher engagement ratio than live action advertisements. Thus, the emotional connection that is created because of the animated advert, can easily be converted to a desire to purchase. Producing an animation advertisement costs less than a live-action advertisement. In live action adverts, actors and models, director and a whole bunch of filming and editing crew are required. Popular actors and models are expensive. Whereas hiring an animation studio costs less. In contrast to live action videos, to produce an animated advert, a small team of animators is adequate! This has made animated adverts cost-effective and beneficial for the brand owner. From the beginning to the end, animated adverts take less time than a live action video. There are many things to consider when shooting a live-action video; weather conditions, actors and models state of health, the presence of everyone in the crew on the day of shooting and many other things. These considerations are a burden in course of producing commercial animation. Animation plays an important role in today’s entertainment, education, and the business industry. Being well aware of the aspects of using animation in commercial inquiries helps to reach the highest quality and the expected output. Animation studios are places where genuine ideas are born. 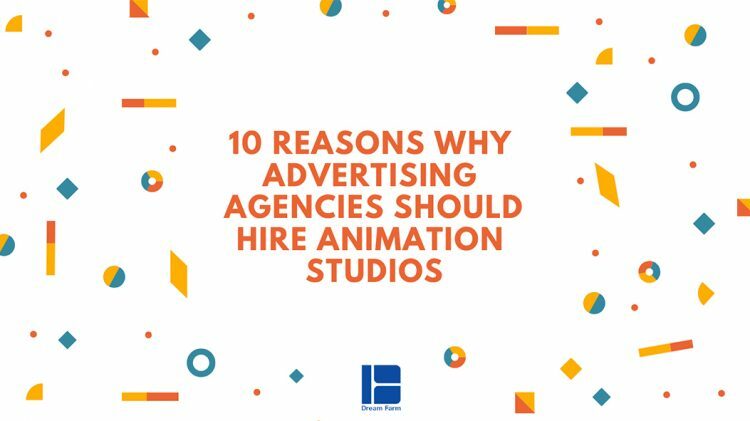 Today, advertising agencies pay a lot more attention to animation because of its benefits in promoting brands and their products and services.